My family and I just returned home from the 2018 Disney Social Media Moms Celebration—part of which we spent on a Disney Dream Cruise to Castaway Cay (pronounced /ki/). 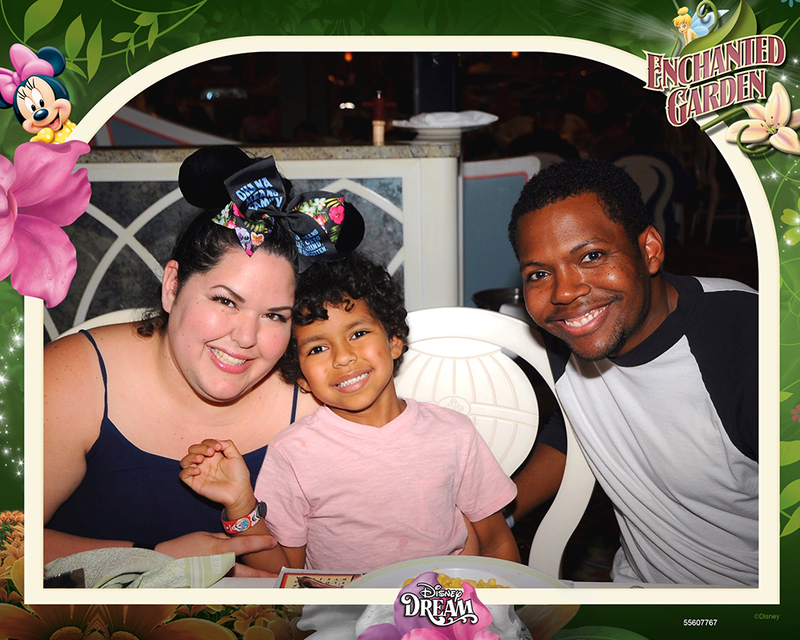 It was our first family cruise and the first time any of us had experienced the Disney Cruise Line. We absolutely loved it! I honestly hadn't considered a cruise for a family vacation before, especially with a younger child, but I left there ready to plan our next one. 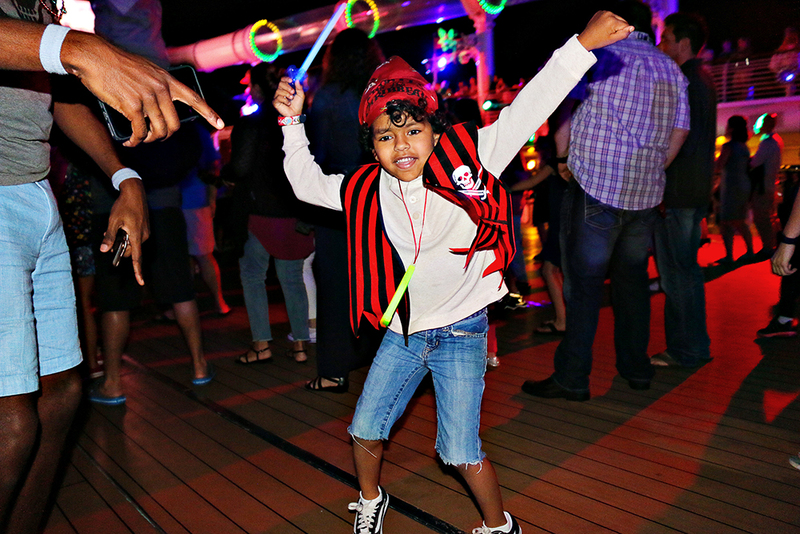 Even if you don't want to do "the kid thing" 24/7, you'll enjoy this cruise. There truly is something for everyone. 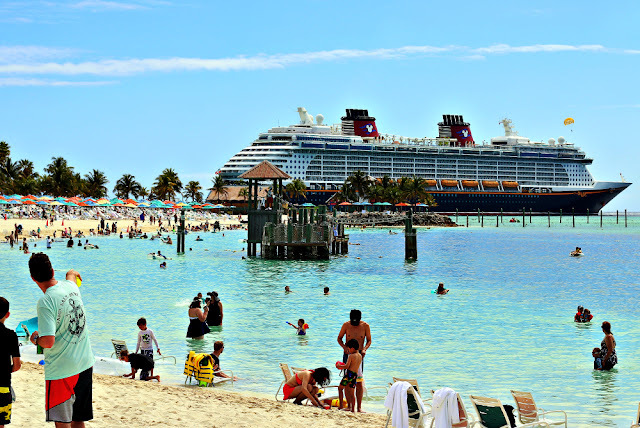 Here are 7 reasons why your next family vacation with young kids should be a Disney Dream Cruise to Castaway Cay. 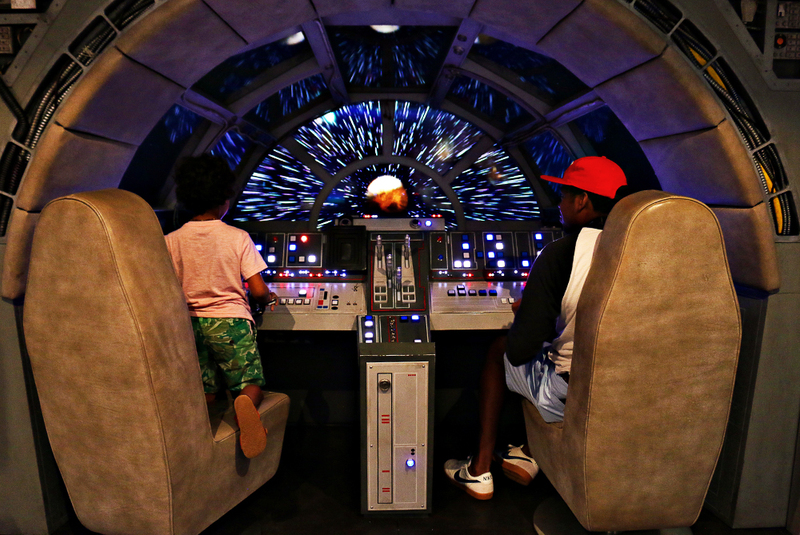 Disney prioritizes family together time and it's obvious on the Disney Dream by both the facilities and programming. Take a swim in Donald's or Mickey's pools. 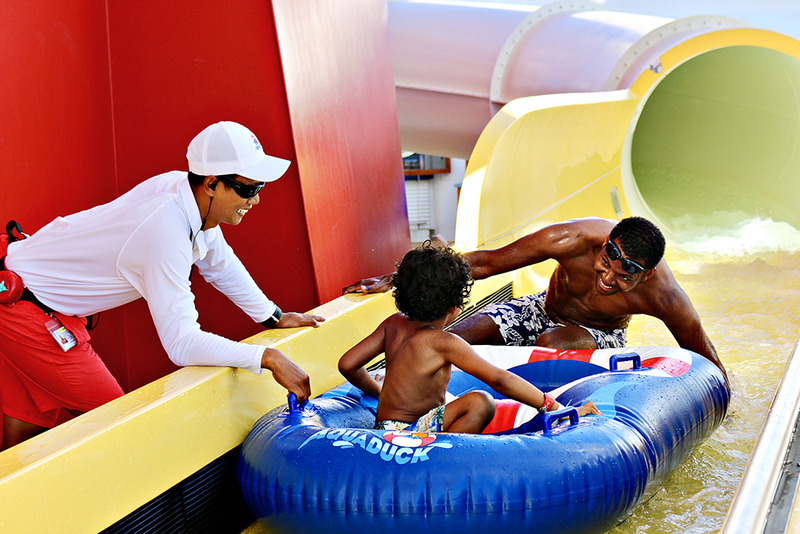 Brave the AquaDuck like my little guy, for unparalleled views. Play a round of miniature golf, shoot hoops, and more on Goofy's Sports Deck. Dance off at the deck parties. 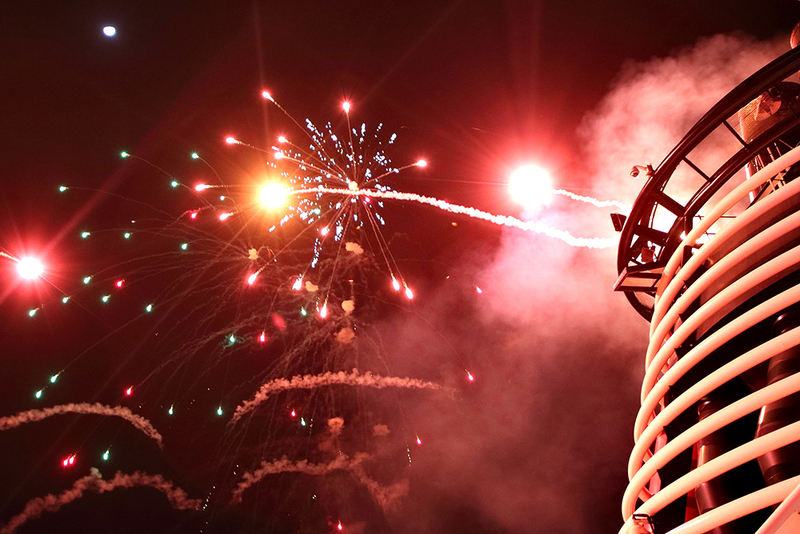 Don your pirate gear for Pirate Night and watch a fireworks show under the night sky. Play detective through the Midship Detective Agency and "use clues, technology and good old-fashioned intuition to guide you through this interactive ship-wide caper". Explore the Bahamas. Try new things. Our cruise experience was filled with joyful moments together! There are many opportunities for character experiences! 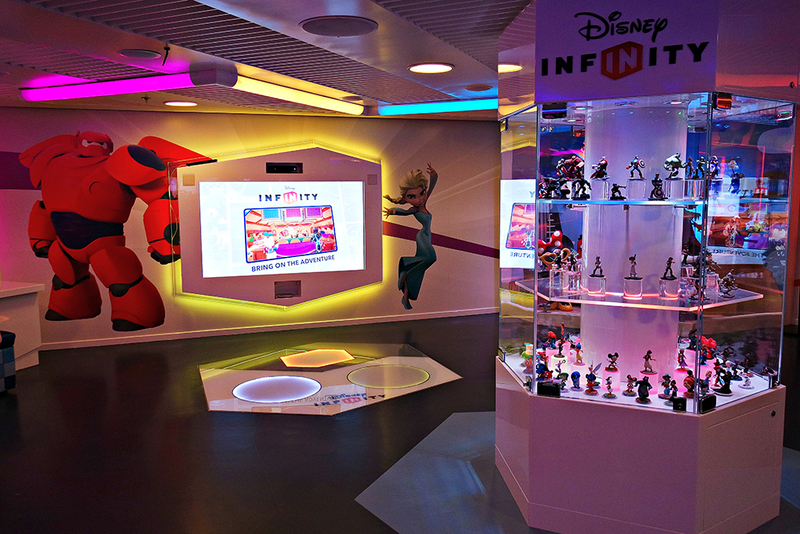 Take pictures and collect autographs from your favorite Disney characters. Consult the Disney Cruise Line Navigator app for times and locations during your cruise. Meeting Captain Mickey and the beautiful Castaway Cay Minnie Mouse was really special. Minnie returned in another dress to dance the hula with the kids in Oceaneer Club. Stitch also made an appearance there. We also saw Goofy, Donald, Daisy, Chip and Dale, Captain Hook, and more! 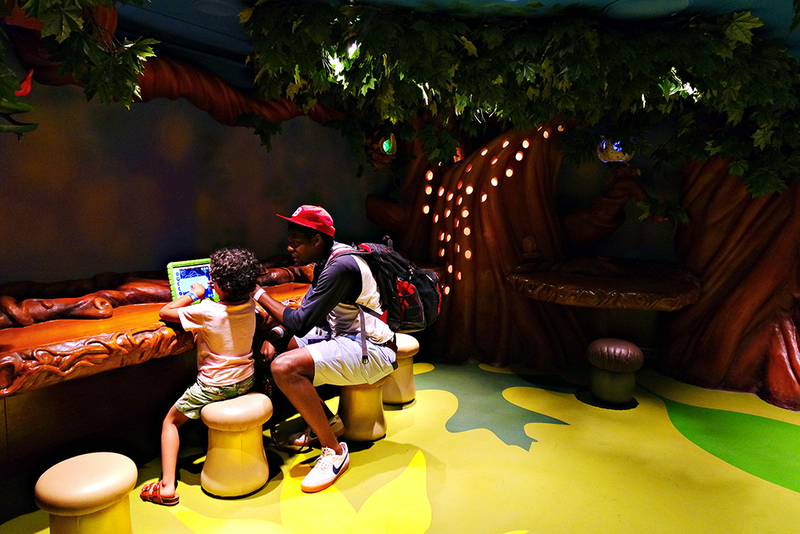 Boys and girls can experience the royal treatment with hair styling, makeup and more at Bibbidi Bobbidi Boutique. Looks include Disney Diva, Fairy-Tale Princess, Noble Knight, and Sea-Loving Captain. 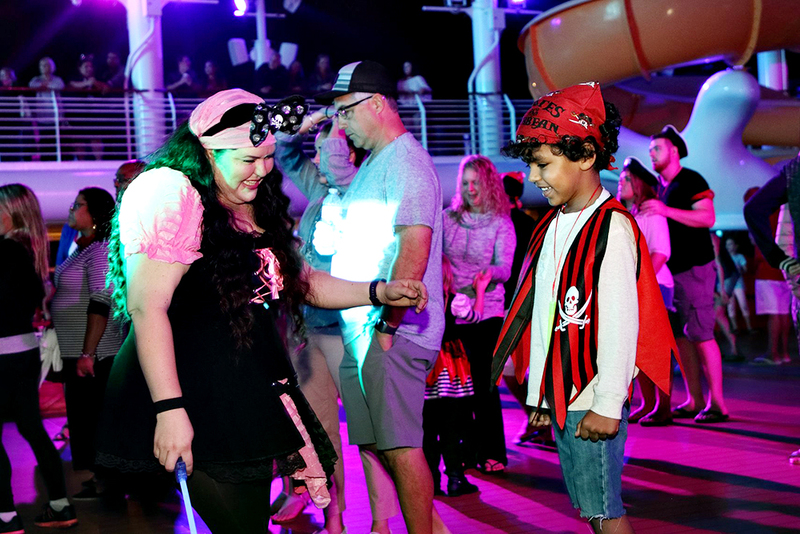 Some cruises offer Pirate Night transformations. Prices and packages vary. Parents, relax and be pampered at Senses Spa & Salon—which offers high-end salon services and spa treatments, with an ocean view. A massage at sea or overlooking the beautiful Bahamas? 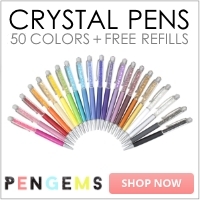 I'd say that's pretty magical! Disney's Oceaneer Club is the most amazing children's play care I've ever seen, and the coolest experience for kids! Leave it to Disney to create such a special space for young kid's to play and use their imagination, while their parents are enjoying the ship's amenities. Oceaneer Club is geared toward children, ages 3 through 12, and includes character experiences as they explore 4 multi-themed magical lands. Andy's Room—where the colorful world of Disney·Pixar’s Toy Story comes to life, Benjamin's favorite - The Disney Infinity Game Room, Pixie Hollow—a whimsical forest setting, complete with dress up costumes, craft projects, storytime, and kid-friendly tablets, and Star Wars: Millennium Falcon—where you can join the Rebel Alliance by designing a starship, training like a Jedi, climbing into Han Solo's cockpit, and more. Be sure to check the Navigator for Disney Character experiences that include Puzzle Playtime with Mickey and Friends, Aloha Luau, Disney's Once Upon a Time, and Super Sloppy Science with Professor Make-O-Mess. The check in and out process felt very secure. Kids wear special Magic Bands that are connected to our Disney Cruise Line cards. We also had to select a secret word to use upon check out. Parents were invited to tour the facility, meet the counselors and learn more about the many activities offered on Embarkation Day during Open House. It's really hard to say who enjoyed this more. Ha! Disney's Oceaneer Lab offers children of the same age a highly interactive space to play games, "move around the state-of-the-art Magic PlayFloor to control film-inspired adventures as well as the tilt of a huge simulated maze", watch movies, conduct experiments in a science lab, develop culinary skills, and more. 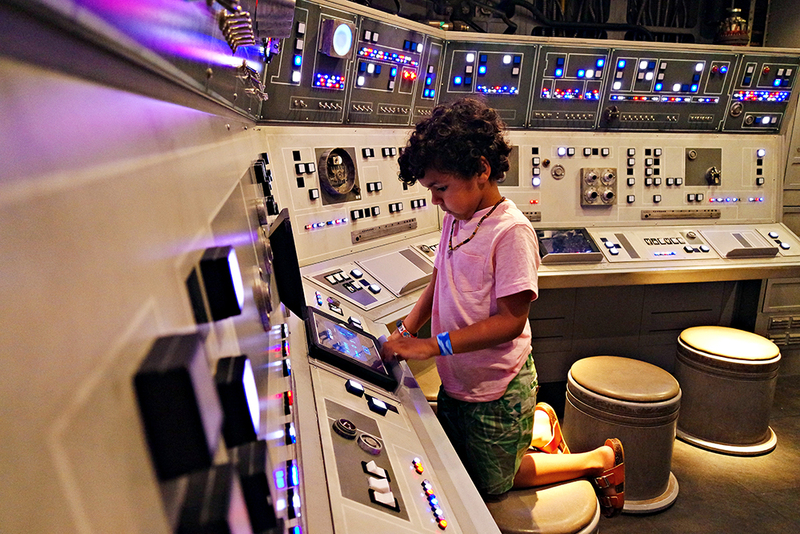 There are many group activities that kids can drop in for and everything is listed on the Navigator app. Children are also welcome to enjoy lunch and dinner in this space, which is convenient for parents with reservations at one of the adults-exclusive restaurants. If you have children of other ages, there are areas designated for them as well. Tweens can spend time with their peers at Edge, and teens will love Vibe—a teen-exclusive nightclub and sundeck. Teen guests can also be pampered at Chill Spa, designed specifically for guests ages 13 to 17, and include beauty services such as facials, manicures and pedicures, and massages for an additional cost. Babies and toddlers can be cared for in the “it’s a small world” nursery! Unlike the other childcare spaces, this one has a fee and requires advance reservations online. The cost is currently $9.00 per hour for the first child; $8.00 per hour for any additional children in your family. In-stateroom babysitting services are not available. Speaking of adults-only, let's talk about the date days/nights opportunities and spaces! You have the freedom to schedule as much alone time together as you want. 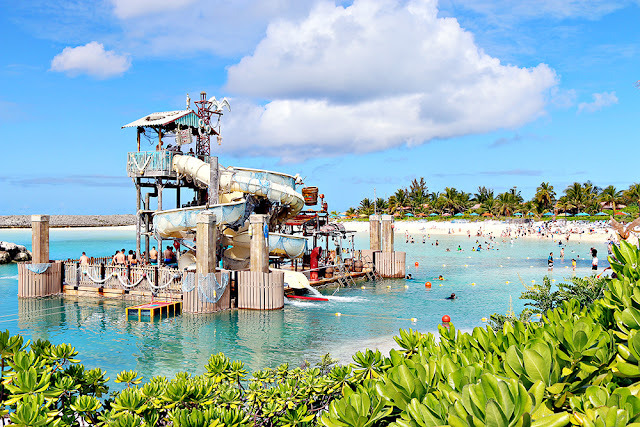 In addition to the childcare on ship, there is also Scuttles Cove on Castaway Cay, where you drop off your kids before heading over to the adults-only oasis, Serenity Bay. Escape for a massage, enjoy a nice dinner together, or grab drinks at any one of the Disney Dream nightclubs and lounges. I had a chance to experience Pink: Wine and Champagne Bar and it was divine! It's the perfect intimate space with cozy, romantic nooks throughout. My suggestion is to splurge for the full champagne tasting. If champagne isn't your drink of choice (gasp!) they also serve mixed drinks, single-malt whiskeys, and cognac. Also worth noting, you can bring alcohol with you on the ship. Each adult can bring up to two bottles of wine/champagne or a 6 pack of beer. We brought our own champagne and wine, and loved having it to sip on the veranda at our convenience. You can also bring your own wine to dinner but there is an uncorking fee. 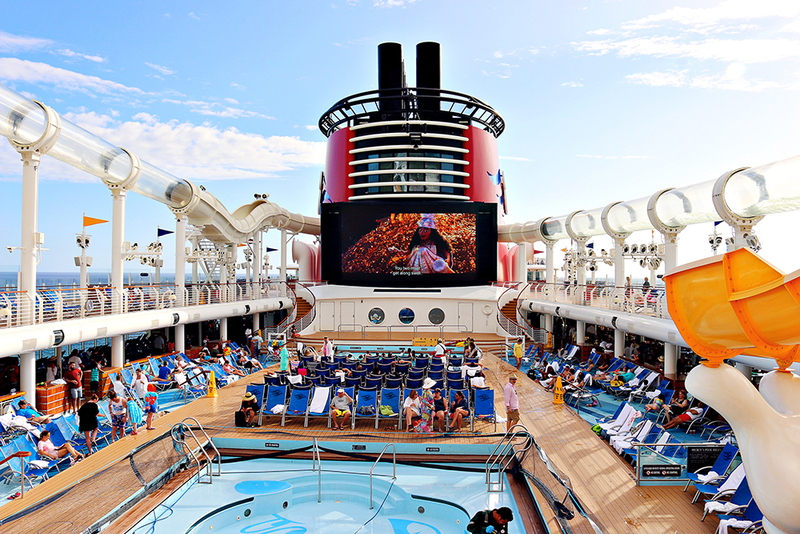 There are also two adult-exclusive pools on Disney Dream—Satellite Falls and Quiet Cove Pool. Honestly, the food ranked pretty high on our list for what made this cruise so great. There are three family restaurants for dinner, that come included with the cruise fee—Enchanted Garden, Royal Palace, and Animator's Palate. You are put on a rotation so that you dine at each of them and given a table number for which you'll sit each night. What I didn't know ahead of time is that sometimes your family will be assigned the same table as another family. This was the case for us and it ended up being one of the best experiences we had! It was so nice to share a meal each night and talk about our days with the family we were paired with. Benjamin even became friends with their youngest daughter and they played together in Oceaneer Club. Each restaurant has a completely different feel and menu. I wish I'd written down everything I ate, from a traditional favorite like chicken Caesar salad to the new things I tried like escargot and duck. Benjamin loved the traditional kid's menu options as well. Each night we enjoyed several courses and the desserts were remarkable. If you're looking for date night alternatives, you can take advantage of Oceaneers Club for the kiddos and make reservations at two adult-exclusive restaurants—Remy, for French fare, and Palo, for classic Northern Italian cooking with a modern twist. Additional fees apply. For lunch, there is casual buffet-style dining at Cabanas, as well as Flo's Cafe, with 3 outdoor food stations—Luigi's Pizza, Tow Mater's Grill and Fillmore's Favorites—inspired by Disney·Pixar’s Cars. If you've got a sweet tooth, then you're in luck. 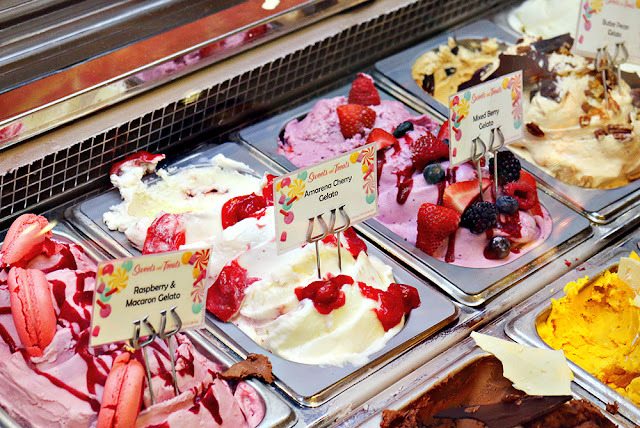 You can enjoy free soft-serve ice cream 24/7 on the ship! 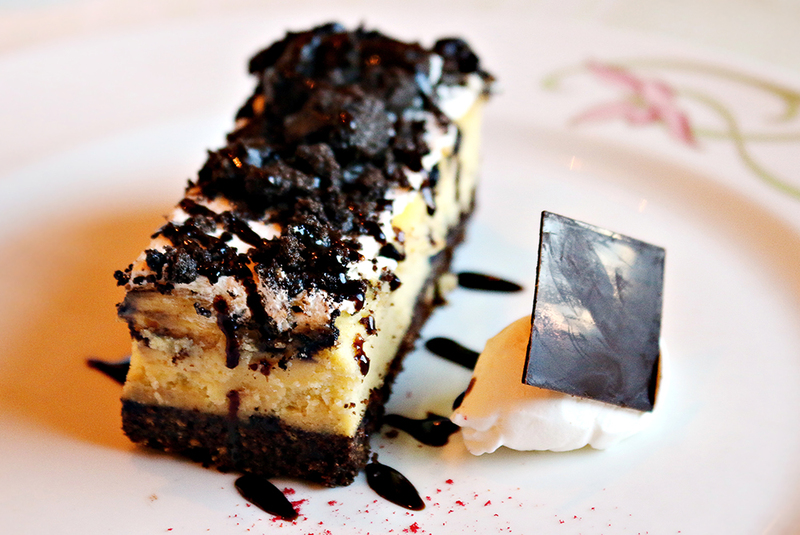 If you're looking for something a little more special (calories don't count on vacation!) then you have to check out Vanellope's Sweets & Treats! This decadent dessert shop was inspired by Disney’s Wreck-It Ralph, and offers gourmet candies, hand-scooped ice cream and gelato, and baked treats like cupcakes, macarons, marshmallow pops and more, for an additional cost. 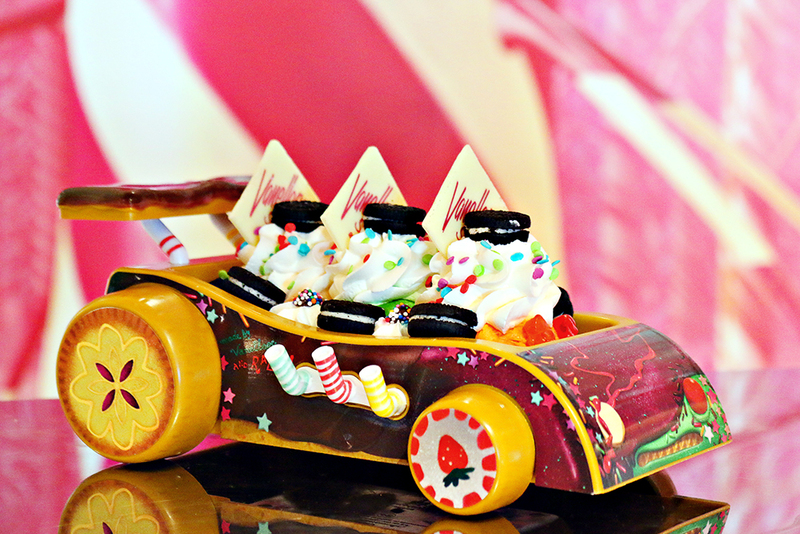 For a real "Sugar Rush" order Vanellope's Go-Kart Sundae, which comes with a three-scoop sundae in a souvenir go-kart. Also worth noting? 24-hour complimentary room service is included in the price of your cruise! Enjoy breakfast, lunch, dinner, or snacks in the comfort of your own stateroom. Available until 1:30 a.m. on disembarkment day. Gratuities are not included. When Disney is involved, you can expect to be entertained! Even still, we were blown away by the entertainment on the ship. Hands down, the best show was Beauty and The Beast. It is not to be missed! This visually stunning remaking of the live-action movie is a Broadway-caliber theatrical show, and not a detail has been overlooked. I loved it so much and really wish I could've seen it again on the ship! 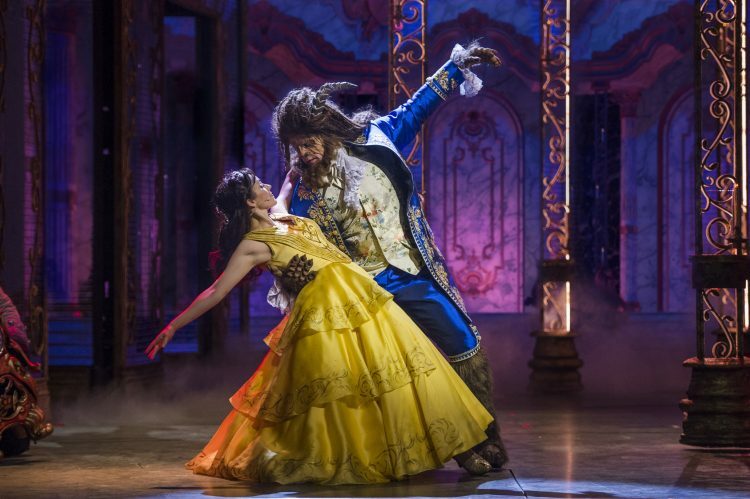 Beauty and the Beast was one of three Broadway-style shows they had. Just so you know when you're planning, these take place in the evenings. It would typically have been passed our son's bedtime so the first night I attended The Golden Mickey's alone. Afterward, I was super bummed that they had missed it, because I had enjoyed is so much! We intentionally set aside time to rest the next day so that he could stay up later. If it's an option for you, the shows are definitely worth attending. 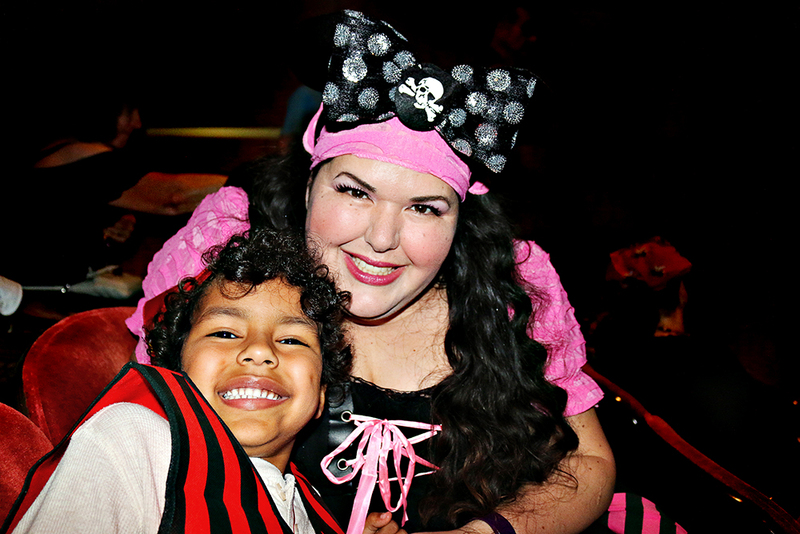 Pirate Night is also loads of fun for the entire family. It kicks off in the evening and culminates with a spectacular fireworks show and dance party. We did receive cute Mickey-themed Pirates of the Caribbean bandannas to wear but we'd also packed costumes. It's completely optional to dress up. Here's a tip: Check out the dollar store before your cruise, for pirate gear (like the vest Benjamin is wearing) and a few glow sticks/sword/etc. to bring along! It may sound simple, but I also thought it was neat how they played full feature Disney films on the pool deck. Because of the long days and late nights, we retreated to our room every afternoon so that Benjamin could nap and we could rest. We were pleasantly surprised by the "on demand" Disney selection in the room as well. Though unfortunately we couldn't make a showing, they also offered current films to view in the theater. I would have loved to have seen Black Panther again! 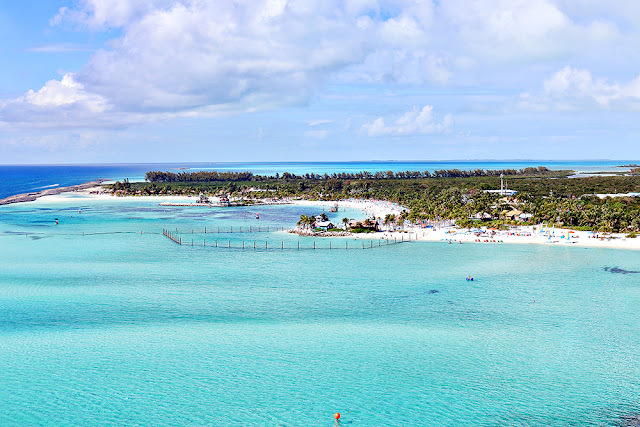 Castaway Cay is Disney's private island in the Bahamas and it's incredible! Not only is it beautiful, but there is so much to do with your time there. We received the Castaway Cay Getaway Package as a gift from Disney, which includes snorkeling, tube, and bike rentals. It's an affordable way to have several unique experiences on the island. Check out this full list of Port Adventures available. While you're there, enjoy a complimentary lunch from one of two open-air BBQ dining locations, and unlimited soft-serve ice cream. 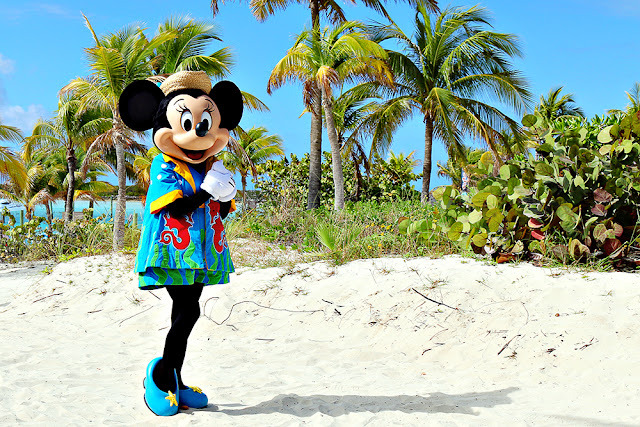 Meet your favorite Disney characters, dressed ready for a day at the beach. Listen to lively music, play volleyball or soccer on Sports Beach, swim and play at Castaway Family Beach, ride down one of two twisting water slides at Pelican Plunge, and so much more. Check out this video from Disney Cruise Line, for a closer look at the island! Finally, it's worth noting that the cast members on the ship were all very friendly. We especially loved our server for dinner each night, who was both helpful and entertaining. We enjoyed both his antics and magic tricks. From the awesome welcome you receive upon entering the ship, to the friendliness of the stateroom host, the service was wonderful. 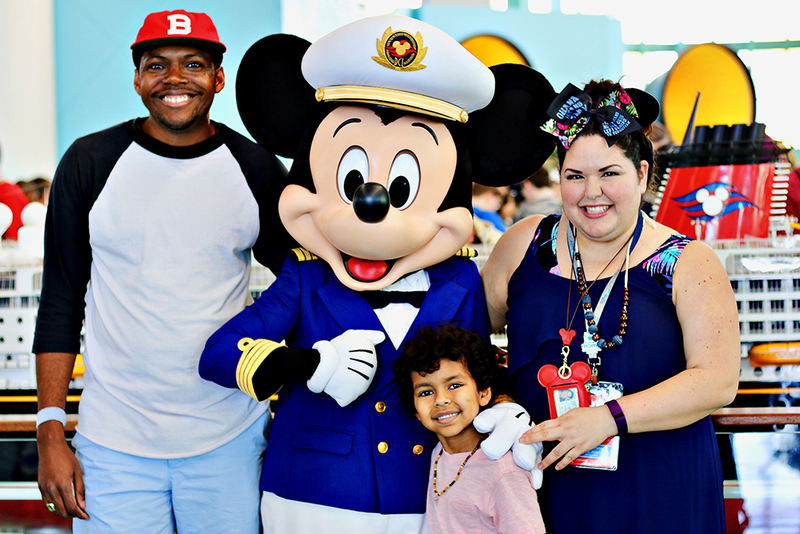 We left our cruise feeling like we'd just had the best family experience and we can't wait to do it again!